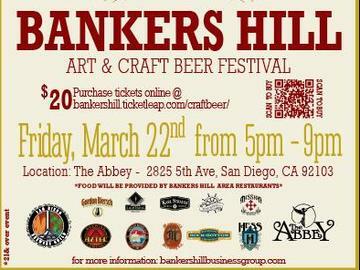 Please join us for the first annual Bankers Hill Art & Craft Beer Festival. Several of our local artists will be featured along with our local restaurants. Barrio Star, Pizzacato, Wet Stone, and The Abbey will have their food on display along side art and craft beer.